 Welcome to Conneely Funeral Directors, Galway. We are a family run business who have served the people of Galway with dignity and respect for the last four generations. We provide a full professional embalming service. Dignity, care and respect is shown at all times to the deceased from qualified staff who understand the importance of their work. This service covers Galway city and county. John J Conneely & Sons have been coffin makers for five generations, working originally from our workshop in Market Street, Galway and more recently from our premises in Flood Street, Galway. Mass Cards Available . Donations to St. Augustine's Parish Church, Middle St.